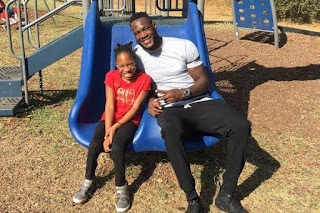 We may never have heard the name Deontay Wilder if not for his daughter. At least not as a boxer anyway. An incredible and inspiring beginning. About Thirteen years ago Wilder's former wife gave birth to a daughter whom the y named Naieya. Unfortunately, the child was later diagnosed with spina bifida, a condition affecting the spine. Devastating news. Her parents were warned their daughter may never walk. Tough circumstances led Wilder, then 19 to make hard decisions. Back then the young towering man was a promising basketball and American football player - but had to leave college to start working to support his young family. He worked very hard but it was never enough. He worked two jobs in restaurants and a third driving a beer truck in order to pay the mounting medical bills. "I had to do things I didn’t want to do, I been sacrificing for a very long time for my family, for my children," Wilder told BT Sport. "There’s a lot of things in life that we don’t want to do, but we have to until we get to a certain point in our lives and we can say ‘I can live my life’. "Many years I worked for other people, many years I put money in other people’s pockets – not because I wanted to, but because I had to. I had no choice. "This all started from the love of a father trying to support his ill child. I only got into boxing because of my daughter was born with spina bifida." 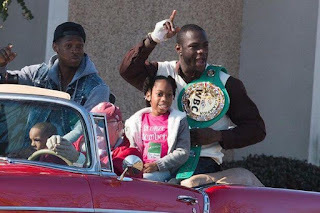 According to boxing Coach, Jay Deas, Wilder walked into the Skyy boxing gym in his home town of Tuscaloosa, Alabama and was soon taken under the wing of Deas. "He walked in the gym in late 2005 and said he wanted to box," recalled Deas. "I hear that all the time but he certainly passed the look test. "When you do that, most are not doing what you told them, but he was, so I thought maybe he was a little different from the norm." A tough but rewarding kind of fairy-tale so far. Since that fateful step into the Sport, Wilder has won an Olympic bronze medal and all 40 of his professional fights - including 39 by KO. And his daughter, now a teenager, has also gone from strength to strength. Clearly proud of his Child, Wilder says he continues to draw strength from her and she from him.